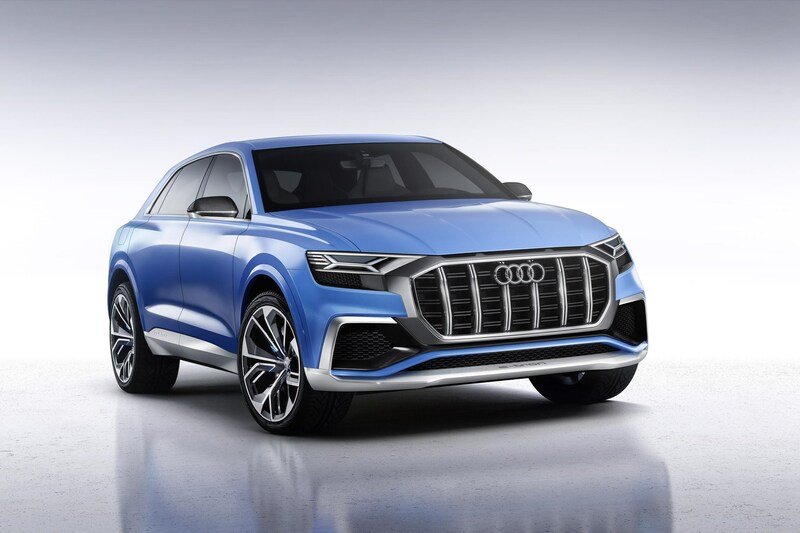 Audi has unveiled the Q8 concept featuring a plug-in hybrid powertrain at the 2017 North American International Auto Show. 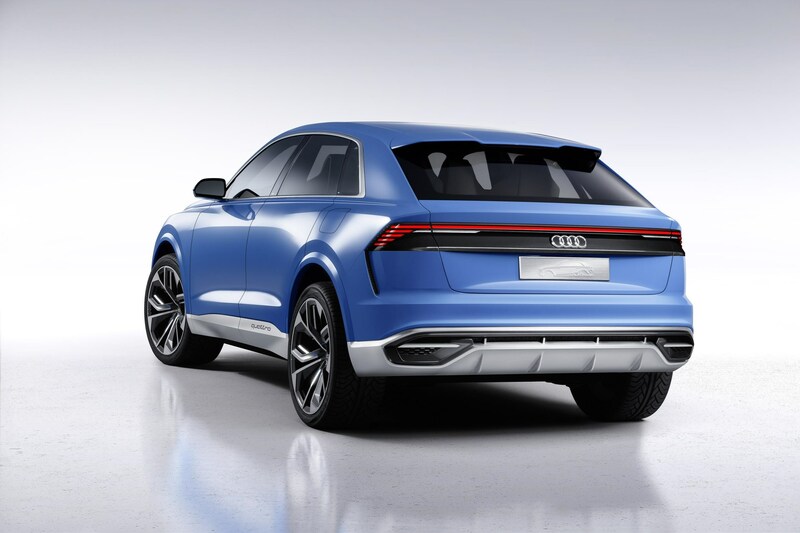 A production model closely resembling this concept will be introduced in 2018 and is the first alternative full-size SUV from the brand. 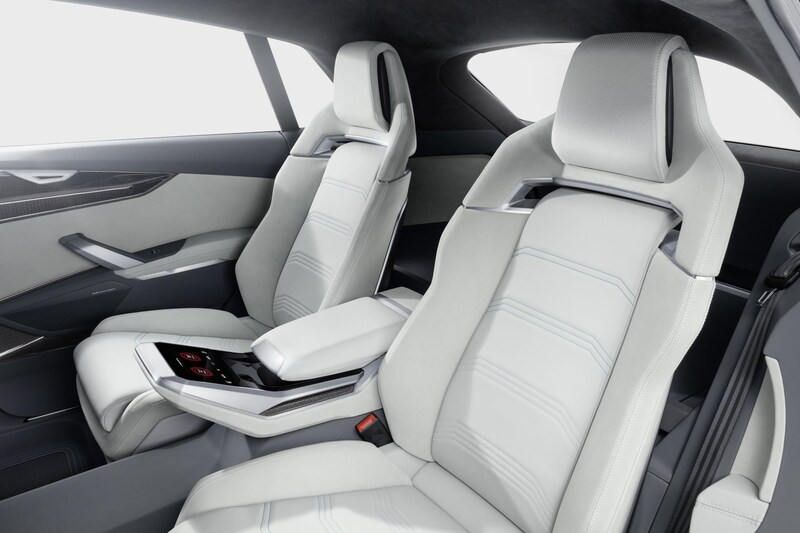 Audi says that passenger and luggage space is still ample despite the coupe-like roofline, but it does have gargantuan proportions at more that five metres long and 2.04 meters wide. 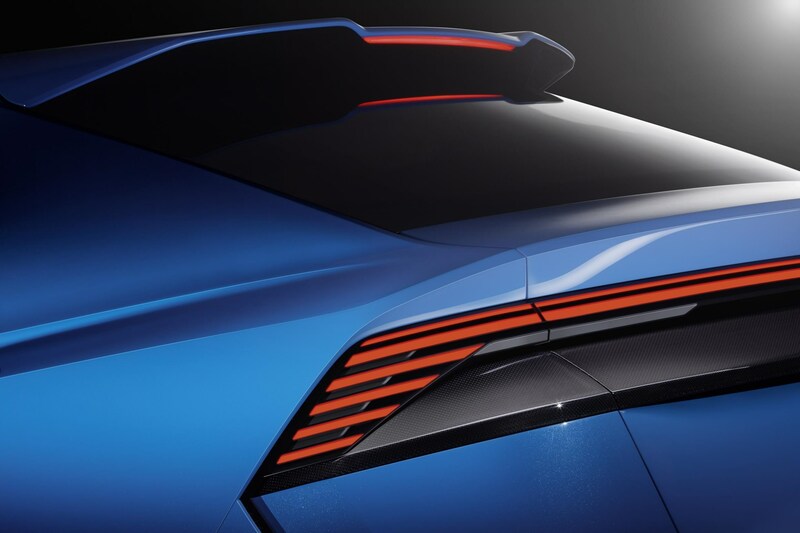 The boot can handle 630 litres of luggage but, in this concept model at least, there is only seating for four. Driver information is presented via an updated version of Audi’s virtual cockpit and a head up display with interaction provided through touch displays. 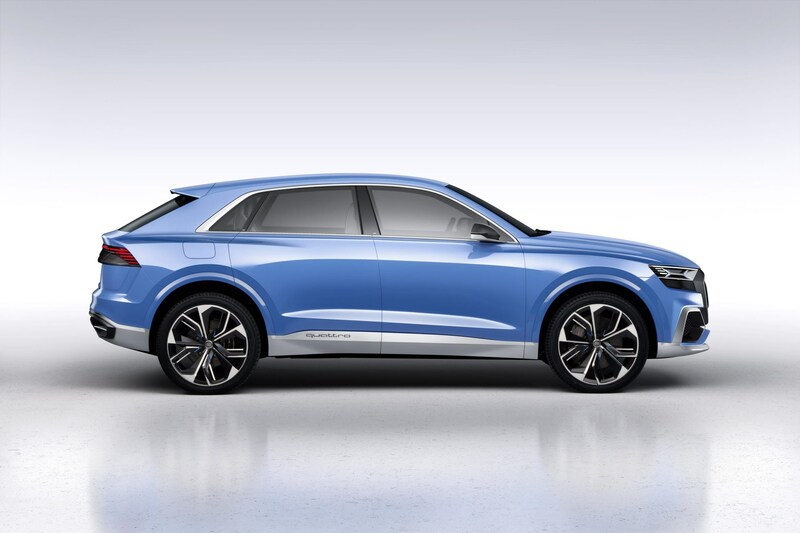 The Audi Q8 concept uses production ready technology for the drive system and suspension. 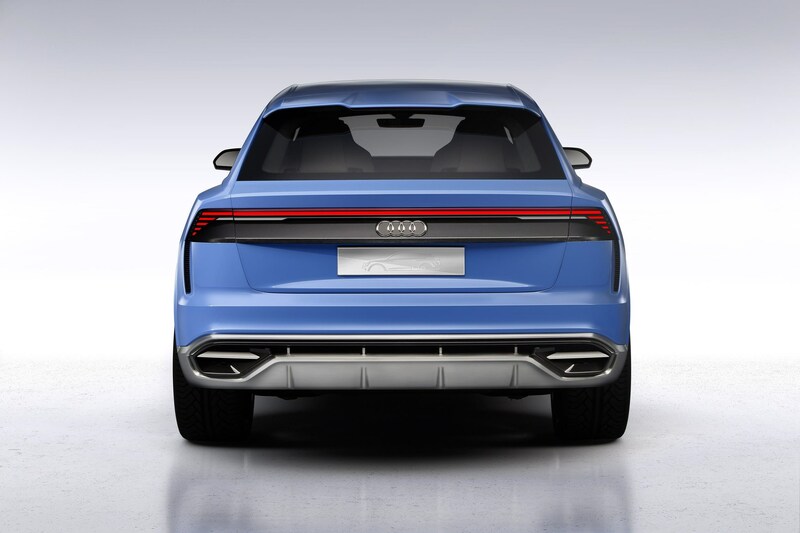 Its hybrid powertrain develops 700Nm of torque, delivered through a Quattro four-wheel-drive system and the Q8 concept is capable of an electric only range of 37 miles. The combustion engine is a 3.0-litre TFSI petrol producing 333PS and a maximum of 500Nm of torque. 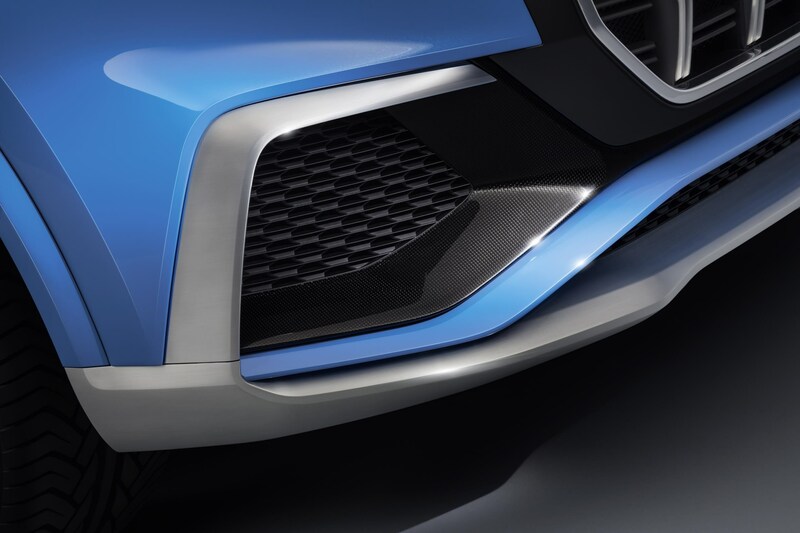 The electric motor generates an additional 100kW of power and 330Nm. Acceleration from 0 to 62mph takes just 5.4 seconds yet it returns up to 122mpg in the NEDC, corresponding to 53g/km of CO2. There is a choice of three driving modes: “EV” mode prioritises electric driving, while in “hybrid” mode the decision regarding the drive type is left largely to the hybrid management system. In “battery hold” mode, it saves the available electric energy for a later time.